Erin I. Macdonald is a 2007 graduate of the University of California, Hastings College of the Law. She graduated from Punahou School in 1999 and received a Bachelor of Arts in Journalism and French from the University of Oregon in 2004. Ms. Macdonald served as a law clerk to the Honorable Karen S.S. Ahn in the Circuit Court of the First Circuit, State of Hawaii. She also worked as a law clerk at firms in Hawaii and California and was a clinic counselor at the San Francisco Legal Aid Society Employment Law Center’s Workers’ Rights Clinic. In an addition to practicing law, Ms. Macdonald is an assistant coach of cross country and track and field at Punahou School. She participated in cross country and track and field at Punahou, the University of Oregon, and post-collegiately. Ms. Macdonald is admitted to practice in all state and federal courts of Hawaii and is also a member of the California bar (inactive). Katherine Y. Koga received her law degree from the William S. Richardson School of Law at the University of Hawaii at Manoa in 2008. Her undergraduate degrees from the University of Hawaii are in political science and speech communications. She has served as a law clerk for the Honorable Virginia L. Crandall at the First Circuit Court of the State of Hawaii. Ms. Koga has also clerked at the United States Attorney’s Office – Hawaii District. Following her clerkship at the First Circuit Court, Ms. Koga was a Deputy Prosecuting Attorney with the Department of the Prosecuting Attorney for the City and County of Honolulu. There she received extensive litigation training and has experience with jury trials, jury-waived trials, and habeas corpus proceedings. Ms. Koga’s current practice focuses on workers’ compensation insurance defense. 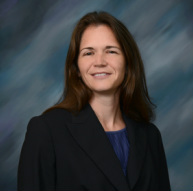 She also has experience handling cases involving automobile accidents. 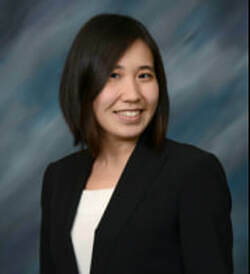 Ms. Koga is licensed to practice law in all state and Federal Courts in the State of Hawaii and is a member of the Hawaii State Bar and American Bar Associations.